Subtle elegance is on parade in August at Modern Arts Midtown with New Work by Graceann Warn along with a small group of others who deal with complex surface qualities and nuanced detail, a virtual symphony of quiet beauty for the viewer to enjoy. An encaustic artist, Warn is featured in her “Invisible World” of painting and assemblages in scrumptious color. (Shown: “Threshold”). With a background in architecture and interest in archaeology, she manages to imbue her work with a deep artistic resonance worthy of careful study. Lincoln artist Joe Ruffo’s collage-like encaustic works are thoughtfully arranged spatial designs that nicely fit the description of interesting surfaces. And France’s Jean Gaudaire-Thor’s painted and torn canvas collages beg a closer look—with fine stitching rather than glue or wax to adhere the parts. Artist Steve Mueller divides his time between Chicago and Australia to mix his own pigments in black and ochre, resulting in lovely meditative pieces with more emphasis on the tactile side of the senses. 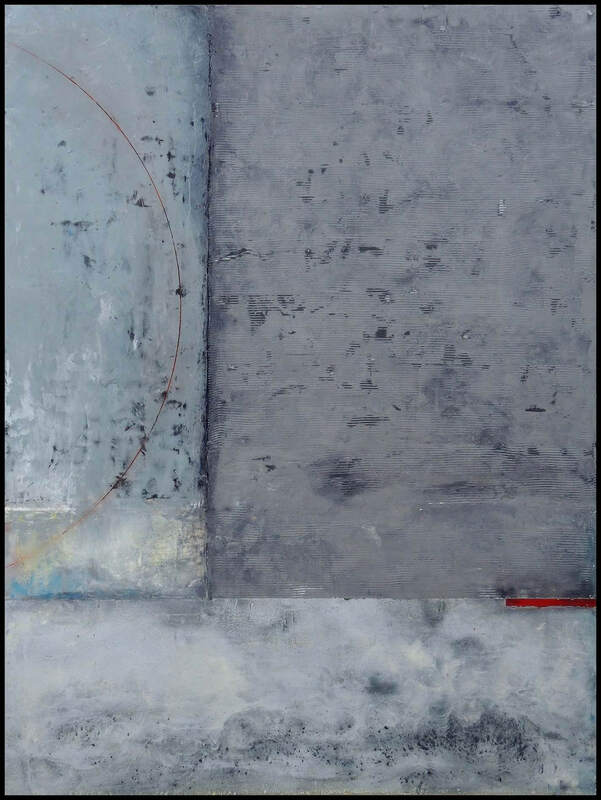 Rick John of Vermillion offers subtle mark making on dimensional surfaces, and Des Moines’ Robert Spellman will show huge pieces sized with poly vinyl, so the subtle grays of the linen canvas can show. This staining effect is highlighted with passages of bolder brushwork. Not an in your face show—quiet, but endearing. New Work by Graceann Warn is the featured show in August at Modern Arts Midtown, 3615 Dodge St. The exhibit opens Friday, Aug. 7 from 6-8 p.m. For more detail, go to modernartsmidtown.com.